Loops are used in programming to repeat a specific block of code. 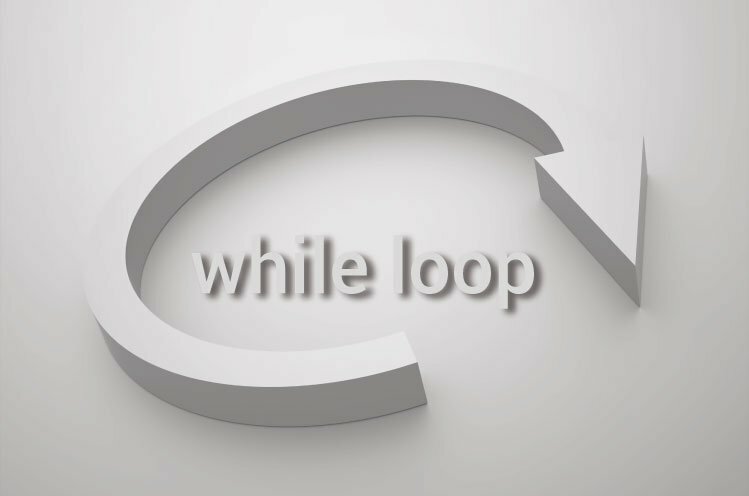 In this article, you will learn to create while and do...while loops in C++ programming. In computer programming, loop repeats a certain block of code until some end condition is met. 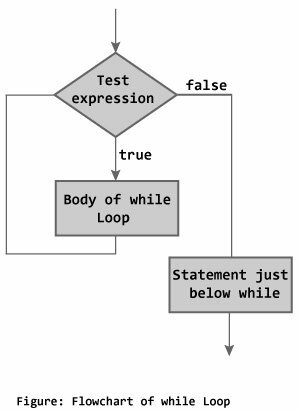 where, testExpression is checked on each entry of the while loop. The while loop evaluates the test expression. If the test expression is true, codes inside the body of while loop is evaluated. Then, the test expression is evaluated again. This process goes on until the test expression is false. When the test expression is false, while loop is terminated. In this program, user is asked to enter a positive integer which is stored in variable number. Let's suppose, user entered 4. Initially, i = 1, test expression i <= number is true and factorial becomes 1. Variable i is updated to 2, test expression is true, factorial becomes 2. Variable i is updated to 3, test expression is true, factorial becomes 6. Variable i is updated to 4, test expression is true, factorial becomes 24. Variable i is updated to 5, test expression is false and while loop is terminated. The do...while loop is a variant of the while loop with one important difference. The body of do...while loop is executed once before the test expression is checked. The codes inside the body of loop is executed at least once. Then, only the test expression is checked. 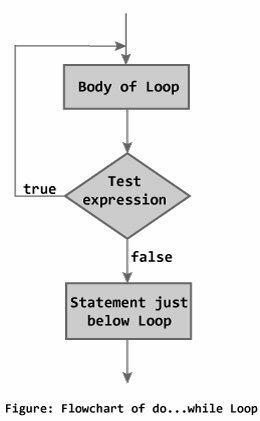 If the test expression is true, the body of loop is executed. This process continues until the test expression becomes false. When the test expression is false, do...while loop is terminated.